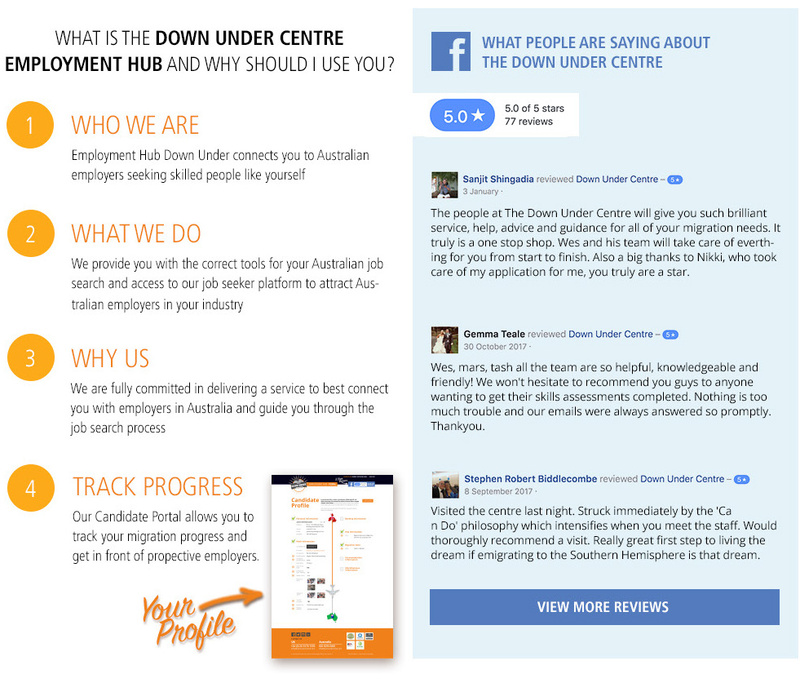 The DUC Employment Hub gets you noticed and directly connected with potential employers who are looking to attract a specific group of applicants just like yourself ... skilled 'job-ready' migrants making their way to a new life down under. As you take each step in your migration journey, you can allow prospective employers to track your progress via your DUC Employment Hub personal profile page, alerting you as job opportunities arise. The DUC Employment Hub gives you access to a wealth of valuable advice, information and allied services to help you on your way. Your personal profile page (opposite) allows you to track your migration progress and get in front of prospective employers. We know you are eager to get started, but please do read this before you start entering anything. We have tried to make this as simple as possible, but in order to determine your eligibility there are specific requirements in terms of occupation, qualification and work experience. If a drop-down box does not give the answer you want, please select the most appropriate. Enter your details below. If you already have a visa, or are in the process, then enter the details of the visa/occupation you are applying for. If you haven’t started the process, or are unsure of what you are eligible for, please select the NO option to take advantage of the Visa points calculator. Click on the ? for additional information to assist in selecting the correct answers and for lots of additional information. The occupations listed are taken from the Skilled Occupation List so select the most applicable. Each occupation has specific requirements in terms of qualifications and work experience, so again select the most applicable. If you are the Partner of the Visa main applicant, then select the most applicable occupation category; it’s impossible to list every job! Do you currently have a Visa? If you have already received your Visa Grant Notice then select YES. If you have not yet started the process, or indeed don't know if you are even eligible then select NO. If you have started the process (i.e. started collecting documentation for your skills assessment) then select IN PROCESS. If you have found an employer in Australia who is keen to sponsor you then select APPLYING FOR SPONSORSHIP. If you are the Partner of the main applicant for the visa application (regardless of which visa you are applying for) then select PARTNER. Is State Nomination an option? Is State Nomination an option for you? Permanent State Nomination (Subclass 190) adds 5 points to your total. Provisional Regional State Nomination (Subclass 489) adds 10 points to your total. Each state has their own list of which occupations they will nominate, and their own requirements for years of experience, level of english, etc. We highly recommend you select the Skype option so our migration consultants can go over this with you in detail. Occupations on the STSOL must apply via state nomination. These occupations are taken from the Skilled Occupation List. The first selection is a sector and then another drop-down box will open with the various occupations. Each occupation has a 6 digit ANZSCO code which describes the job duties. It is the job duties that matter, not necessarily the job title. To check the job duties click the ANZSCO code and it will bring up the job duties. If you are the Partner and you don't have an occupation on the Skilled Occupation List then please select OTHER and then the most applicable sector. The drop-down answers relate to the skill assessing authority requirements and may not match the qualifications you have. You should select the most applicable. Some occupations do not have more than 1 option; this will be because of the strict requirements by the skill asssessing authority. Your qualifications may be higher than shown; in this case choose the highest shown available. For example you may have a degree, but this is not shown as an option since it is not a requirement for a skills assessment. If you are the Partner you may have other qualifications or no qualifications so select the most applicable. Which states do want to work in? Australia requires English speaking migrants. If you hold a passport from the UK, Ireland, NZ, Canada or the USA you are deemed as having Competent English. Visa main applicants can sit an approved English test (i.e. IELTS, PTE Pearson Academic) to generate additional points towards your skilled visa. Proficient level = 10 points and Superior level = 20 points. If you are the Partner and do not hold a passport from the UK, Ireland, NZ, Canada or the USA you may need to sit an English test and achieve the Functional level. Get started with your move to New Zealand! To get started, fill out the form below. The information provided will help us find the best pathway for your move to New Zealand. It is very unlikely that you will reach the pass mark to lodge a skilled migrant category residence visa application without a job offer. If you are over 56 years of age there could be options for business or investment visas or possibly a parent visa if you have children who are NZ residents. What Qualification do you have if any? How many years work experience do you have relevant to the occupation you will be applying under? 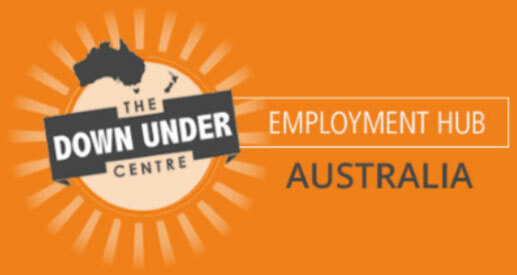 The DUC Employment Hub is an innovative product of the Down Under Centre (DUC), a one-stop centre for all your migration needs. We are a walk-in centre based in London UK, with offices in NSW, Australia and Auckland, New Zealand. The DUC provides client focused migration pathways: skills assessments, visas and relocation services. We also understand the importance of job security and have created the DUC Employment Hub; a tool to connect you, the applicant, with employers looking for your skills. You complete your personal profile page as fully as possible, adding to it as your migration journey progresses, and employers, interested in your profile, receive emails when important migration milestones are triggered. The DUC Employment Hub has invaluable information to assist with your move to Australia besides getting a visa and a job. This information includes relocation services, short-term accommodation, banking, driver licence, tax setup, information on licensing and registration, etc. The helpful hints function gives more information on how to use this powerful tool. Looking for a great lifestyle in New Zealand? With the DUC Employment Hub we can help put you in the best position to secure a job offer and visa for New Zealand. You will need a job offer before you can apply for a visa and you will need to be prepared for the move and visa application process before you can secure a job offer. Knowing where to start is often the first barrier people make when trying to move to New Zealand. You may have heard of the “Catch 22” situation that everyone faces. This can be difficult to overcome especially without support to remove the barriers that exist between you and the employers looking to hire you. To explain it simply, we help you make the move to NZ by removing the barriers that exist between you the employers and the visa process. We minimise the risk and maximise the opportunity for you and the employer. The DUC Employment Hub is an essential tool that we are actively promoting to employers here in NZ. If you want to be promoted to employers as a person who is skilled, eligible for a visa and ready to make the move with our support, then you are in the right place. Just complete a simple questionnaire to give us some information to see if you could be eligible to migrate. Once approved you will have the option to book a Skype consultation with one of our Migration Consultants (essential if you want real clarity) or you can just log straight into your profile and upload your CV, and edit your details. Employers will also log in and add the occupations they are looking to fill, plus the location of those jobs. When they get a match with you they can read your profile and contact us to arrange an interview. If you decide to use our full visa and relocation assistance you have the added advantage of givng peace of mind to the employer (and yourself) that if a job offer is secured, we are here to help make sure the immigration process runs as quickly and smoothly as possible. To do this make sure you take the option of a Skype call. What is the DUC Employment Hub and Why should I use it? DUC Employment Hub is designed to connect migrants and employers. 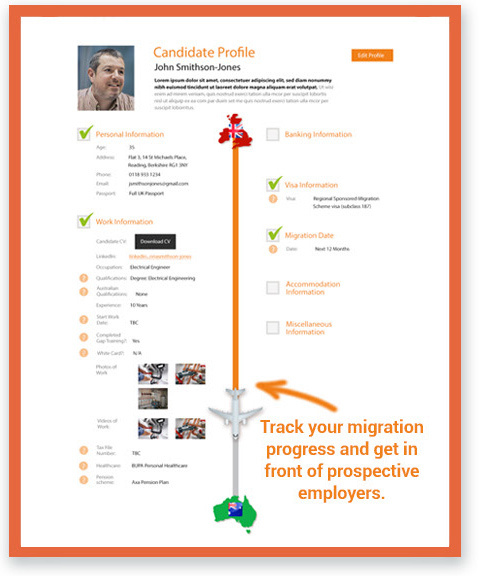 Your personal profile page allows potential employers to connect with you directly as your migration pathway progresses. A simple questionnaire assesses yours eligibility. Choose a Skype consultation for in-depth advice on using the system to maximise your potential, or without consultation. Log into your personal profile page and complete your details. Update your personal profile page as your progress through the migration process; the more you enter, the greater your chances of success. We connect you to employers actively seeking people with your skills. Copyright 2019 Down Under Centre Ltd.